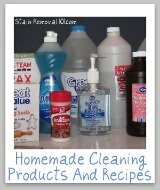 Here is a round up of tips and uses for Goo Gone within your home, for both cleaning and stain removal. 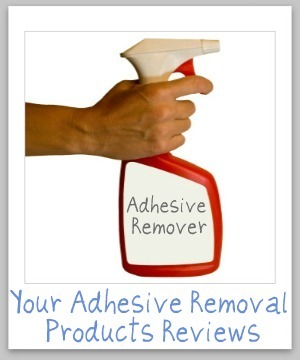 Find out all the ways you can use this product here, for the really tough to remove messes. 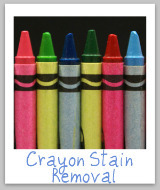 As you can tell, this whole website is about cleaning and stain removal, from all types of surfaces. 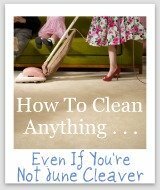 What I've noted, from the questions I've received, is that the thing that stymies people most are the sticky, waxy, and oily stains because these are the kinds of stains that water can't clean at all, or at least not well. 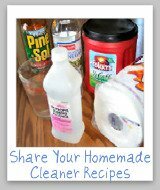 You may have heard the saying that you "clean like with like," meaning water-based stains with water, and oil-based stains with oil, right? Well Goo Gone is a perfect thing to have in your home for all the oily, sticky types stains where water won't cut it for cleaning. That is because it is oil-based, and has a citrus scent. 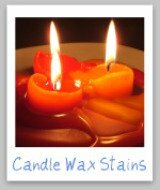 Some of the more popular uses for the product include removing chewing gum, crayons, candle wax, grease, sap, glue, tar, tape, stickers and other adhesives. 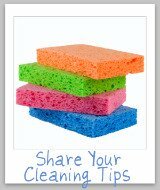 In addition, it can be used to clean up and remove stains caused by some products which contain oils and grease, such as lipstick, mascara, and shoe polish. What is remarkable about it, is that it is safe for many surfaces. For example, it can be used safely on carpets, upholstery, clothing, wood (including hardwood floors), brick, concrete, metal, fiberglass, plastic, glass, and tile. It is not safe for leather, silk, suede or rubber, however. Further, I should caution that if possible, you should always try something else first on fabric surfaces, such as upholstery and carpet that cannot be washed, because of the oil based nature of this product. If you need to spray clothing with it, it isn't that bad, because after you remove the stain or other residue you can wash the garment with hot water and lots of soap to remove the residue from the Goo Gone itself. Unfortunately, with carpet and upholstery, all you can do is dab at it with a dishwashing liquid solution to remove excess product, and although this will work it takes more effort, and is not guaranteed to remove all the oily residue. 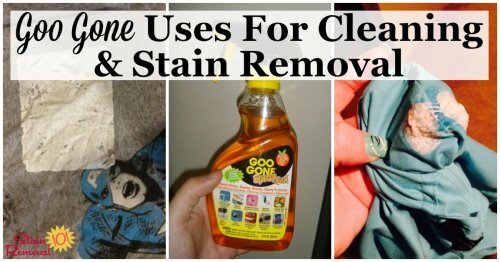 However, sometimes Goo Gone is all that works to remove the stain, so you have to do it anyway. Here are the various uses I've found for this product so far. 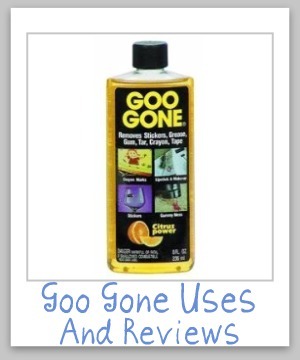 Goo Gone is made by Magic American company, and comes in the original formula, which I've discussed above. You can buy it in a regular bottle, pump spray bottle, aerosol can, a spray gel, and also in a pen. I am always looking for people who have actually used these products, to tell me how they worked for them, and how they used them. I would love to know what you cleaned with it, and on what surface. As you can see, I've already collected a number of uses and reviews above of this product, and you can skip down to share your own review below. You can find some or all of these products in stores, especially the original formula. 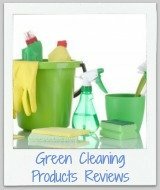 Typically you want to look in either the automotive section or cleaning aisle of your store. However, some of these more specialty products can most easily be found online. 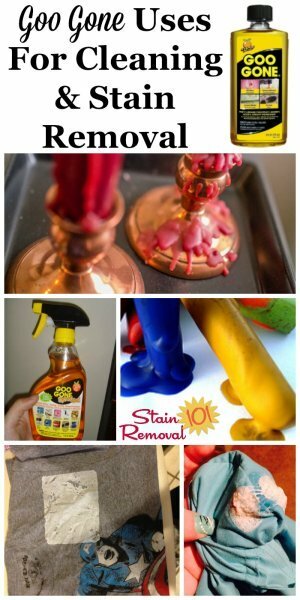 What Are Your Uses For Goo Gone Around Your Home? Share your tips and ideas below. Remember, photographs are not required, but they are encouraged, especially if helps us understand your use or tip. Click the links below to see uses for around the home which have already been submitted by others. Feel free to comment on any of these submissions to tell us whether you use the product in a similar way, or about any other thoughts you have.